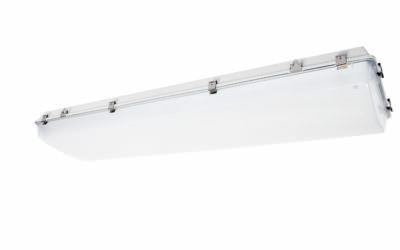 The L7600 LED Vaportite Series gasketed enclosure, is perfect for any industrial or commercial application where fixture is exposed to the elements; the L7600 is totally dust and moisture resistant. The enclosure is constructed of a fiberglass upper body and an acrylic diffuser, securely positioned in a permanent poured in place sealing gasket. 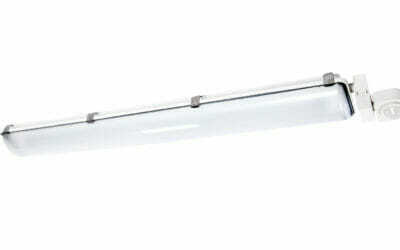 The diffuser and upper components are locked into place by retaining latches, assuring a secure, tight seal. Ideal for food processing, commercial kitchens, parking garages, car washes schools, government facilities, breweries, livestock containment buildings, laundry mats, and road tunnels. 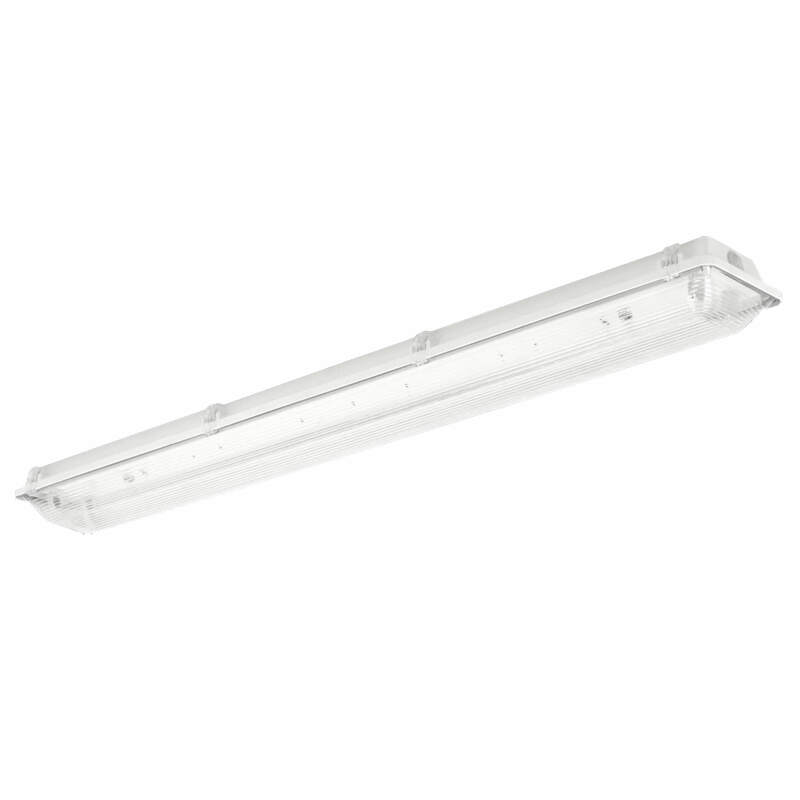 Perfect for any industrial or commercial application where fixture is exposed to the elements; the L7900 is totally dust and moisture resistant.